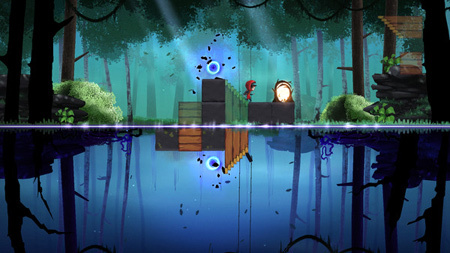 Samsara is a beautiful, reflective adventure and puzzle game by Marker Limited. Zee was surrounded by the unknown and trapped in a series of realms both confusing and dangerous. You must help her escape Samsara. Avoid slipping into the pool between dimensions, embarking on a voyage of discovery and awakening they share with the player, up and down staircases, through light and dark, across the upside-down and the right side-up to their eventual freedom. The game features the reflected dimensions of 77 levels across 6 hand-detailed realms, each with hidden Easter Eggs to uncover. If you get stuck in the game, check out the video walkthrough and gameplay for the game. This entry was posted in PC Games, Walkthrough and tagged Samsara Cheats, Samsara Gameplay, Samsara Guide, Samsara Hints, Samsara Review, Samsara Solutions, Samsara Strategy, Samsara Tips, Samsara Walkthrough by Marvin. Bookmark the permalink.